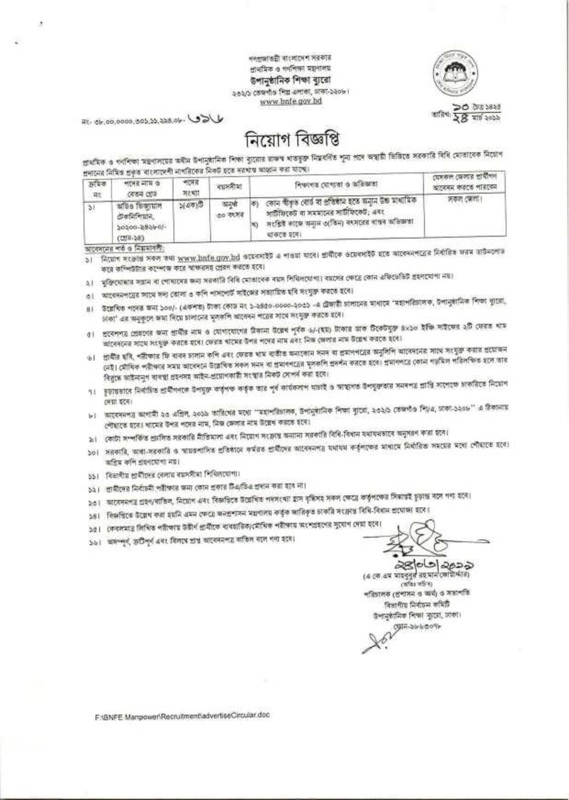 Ministry Of Primary and Mass Education Job Circular 2019 has been published in the daily online newspaper by their authority for the fresh job holder and to get from the best job and education portal website in BD Jobs Careers with all of necessary details like published date, application deadline, salary, how to apply, sms system etc, which helps to understand how to apply for this job. Anyway, we would like to inform you that, Ministry of Primary and Mass Education is a separate Ministry of the Government of the People’s Republic of Bangladesh. The Ministry is the government’s highest organization for the implementation of primary and mass education. Its main purpose is education for everyone. well now the organization looking various positions man power, you can check out in below by given BD Jobs Carers info and if you think you are suitable with that requirement then to send your application. ■ Salary: According to government policy. This entry was posted in All Jobs, BD Jobs, Dhaka Jobs, Government Jobs, Graduate Jobs, HSC Pass Jobs, Jobs Notice, MBA Jobs, Newspaper Jobs, Today Job by admin. Bookmark the permalink.